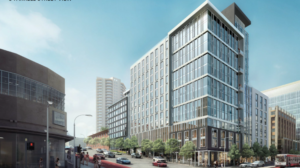 A 239-unit condo project that will replace the former KRON television building has been approved, and construction is scheduled to start early next year. Cathedral Hill Neighbors Association (CHNA) is a not for profit neighborhood association, formally registered in 2006. Our members are homeowners, tenants, businesses, non-profit organizations, churches and places of worship in the area.